The St Mary’s model is one which nurtures and celebrates talent. We take pride in being part of our pupils’ development and success; as a smaller school, we relish the fact that we know each girl, which allows us to support and guide them towards achieving their goals. We foster a discursive, dynamic and collaborative environment for learning throughout the school; we monitor development, set individual targets, and cater to your daughter’s individual needs and abilities. 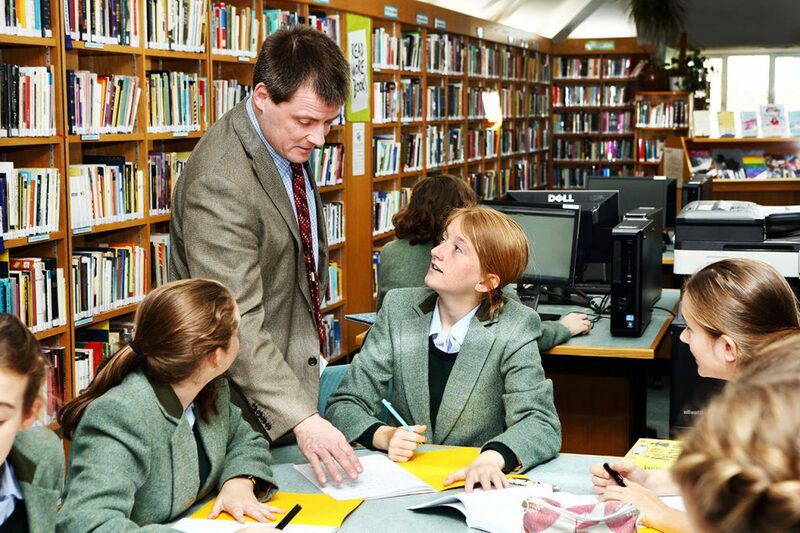 The Junior School has a broad curriculum with a wide range of academic studies enjoyed by all pupils. Girls are pushed above and beyond their expected level of achievement by highly qualified, inspirational and motivated teachers. Personal support is provided via our excellent tutorial system. This readies pupils for the Senior School where they begin to make choices about which academic paths they are going to follow. Girls are mentored academically by their peers via the vertical House system, and as they enter the public exam years we continue to encourage regular communication with parents. Parents, tutors and girls work together for wrap-around care to optimise success and ensure we maintain an open, supportive environment. At Sixth Form, as at GCSE, we offer exceptional subject choice alongside individual support; we know that the best universities look for independent thinkers with a thirst for knowledge. Our tutoring system becomes even more crucial as career paths are mapped out and the result is our outstanding record of girls gaining places at their first-choice universities, including Oxford and Cambridge. Above all, and throughout the school, we take the approach that learning is not just for exams but for life. Developing curiosity, persistence, critical thinking and a positive mind-set is key to preparing to work in a modern, global society. To read more about Academic Scholarships, please click here.